Water’s Edge Golf Club in Worth, Ill. has been selected for the 2015 Best of Worth Awards in the category of Golf Driving Ranges. The honor is given out by the Worth Award Program, which recognizes the best of local businesses in the community. 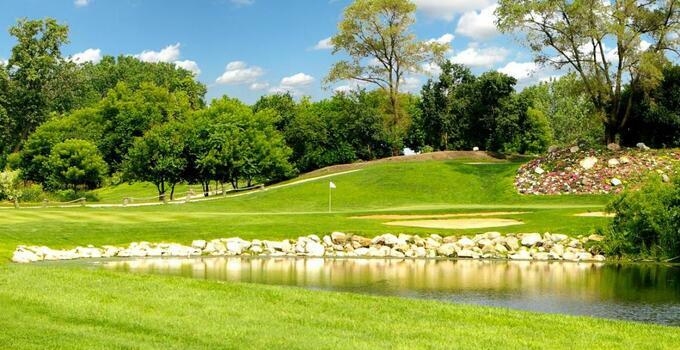 An affordable facility in terms of green fees and being able to hit balls, Water’s Edge features scenic views up against the Calumet Sag Channel on the south side of Chicago. Besides the typical warm-ups before golfers head out for their rounds, the range is also home to many lessons and fun events throughout the year. One such event is the “Clinic & Cocktails” that is led by PGA Professionals and includes a one-hour golf clinic, range balls, and a glass of wine. Another way golfers take advantage of the range is through the “Practice Club,” which offers a bevy of amenities for just $32.99 per month. Included is unlimited range balls, and golfers love taking advantage of the deal to work on their games throughout the golf season.